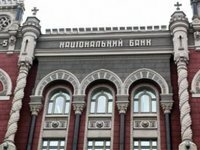 The National Bank of Ukraine (NBU) at present does not see potential buyers of banks with Russian capital and believes that their withdrawal from the market is the only way for leaving the country, Deputy Board Chairman of the NBU Kateryna Rozhkova has said. "As for Prominvestbank (PIB) and Sberbank, there were potential investors to whom the NBU decided not to issue the permit. At present, the issue [of how to leave the country] remains open... Today we do not see potential buyers who could buy these banks, as they are very large," she told reporters at a public event of the USAID Financial Sector Transformation Project (FST) in Kyiv on Tuesday. Rozhkova said that international financial institutions (IFIs) do not show any interest to these banks, as they are under sanctions, whereas among individuals, the NBU does not see the investors who could not only acquire one of the banks, but also invest and develop it. "Therefore, the logical conclusion that the NBU can make is that curtailing activities is the only civilized way for these banks," the deputy head of the central bank said. Rozhkova also reminded that BM Bank, which decided to give away its banking license, and VTB Bank, which is actively cutting its activities, have already taken this way. At the same time, she said that the central bank cannot somehow speed up the exit of banks with the Russian capital from Ukraine. "We work with banks. We have set restrictions on expanding the deposit base, interest rate and other restrictions, but again, we are working in the legal field. There are prudential requirements of the central bank - these are requirements for capital, liquidity and regulations. The NBU cannot set other requirements - political or any other," Rozhkova said.